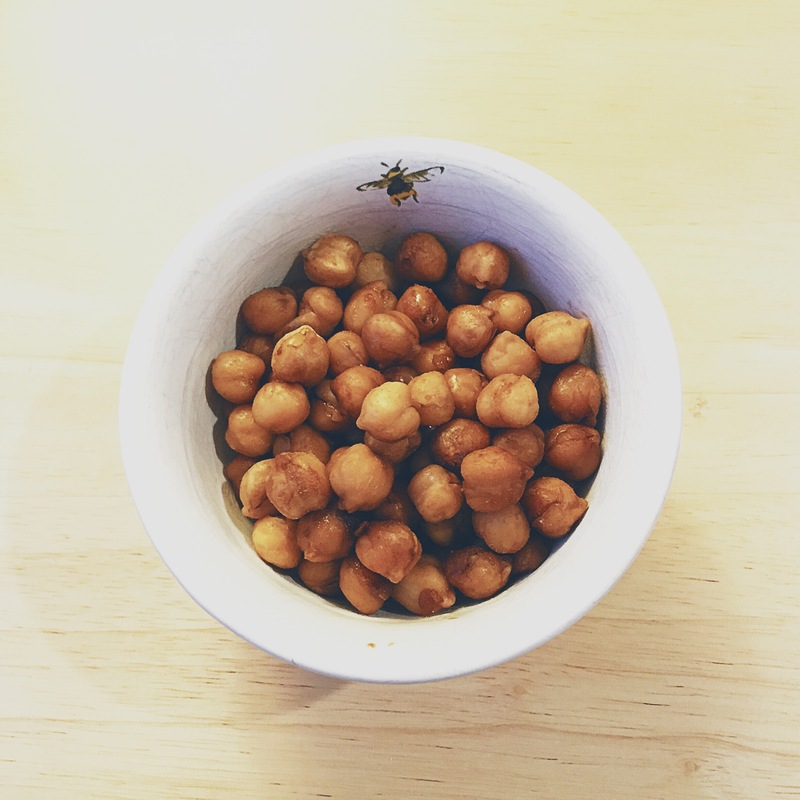 These balsamic chickpeas are so quick and easy to pull together. We have them frequently, especially on weeknights. They are very versatile and work in a lot of different meals. Plus I just really like them! Combine all ingredients in a saucepan on the stove. Bring to a boil. Cook over medium heat, covered, for 3-5 minutes. Simmer uncovered for 10 minutes, stirring occasionally. 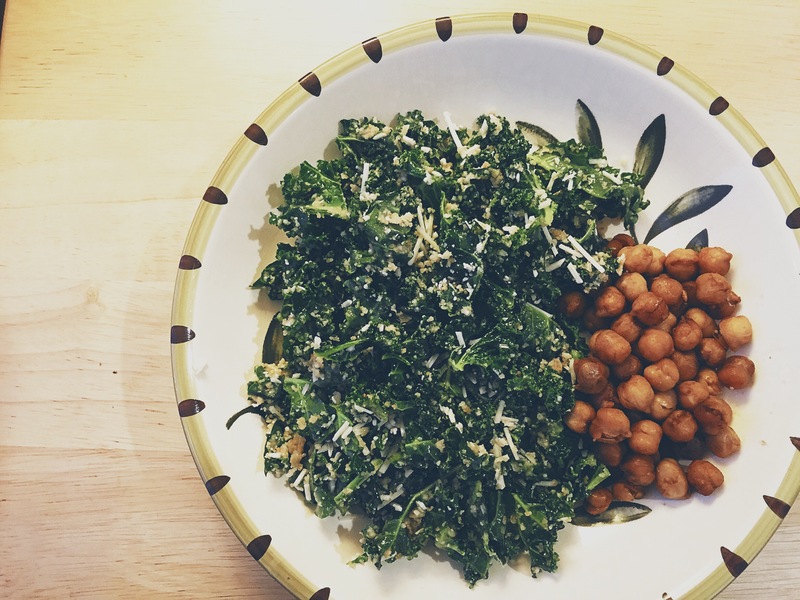 These chickpeas make a nice vegetarian main course on their own and pair well with my favorite kale salad. They also work well when added to a wrap or salad or as part of the bowls that are so popular these days. I am so happy it’s Friday! We should have nice weather so I’m hoping to get out in my garden and plant lettuce and radishes. I love the beginning of gardening season when it seems like anything is possible. Before the weeds and heat set in and I get a little more disgruntled. I also have a couple non-food projects in mind for this weekend so please check back next week. Please feel free to pin this page using the buttons below or by hovering over either photo.